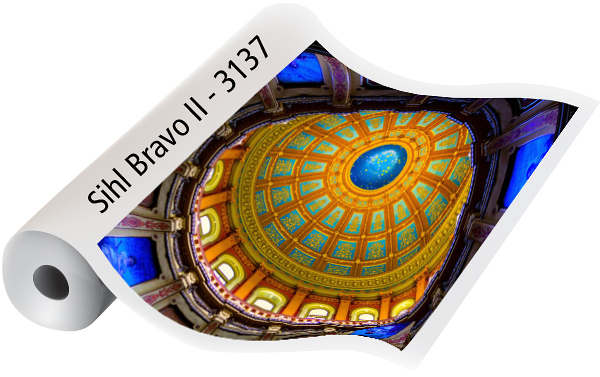 3137 Bravo II is a high quality true artist canvas for fine art & fine art quality graphics. Designed to work with Latex & UV printers. Also works well with solvent printers. The durable 2:1 construction with a Poly/Cotton blend ensures a reliable & consistent print surface. 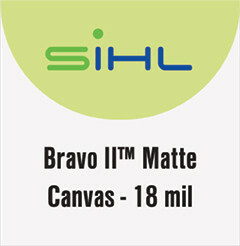 Ideal for applications including the traditional stretched canvas for framing.